Keanu Reeves will return to New York Comic Con next month to promote his new film Replicas, where the first footage will be shown from this impending sci-fi thriller. As of now, a release date for Replicas has yet to be announced, but it seems possible that may be revealed during the panel. Here's the official description of the NYCCC presentation, including who will be joining Keanu Reeves at the Javits Center. "Join Keanu Reeves and the team behind Replicas, for an exclusive first look and conversation about the film. 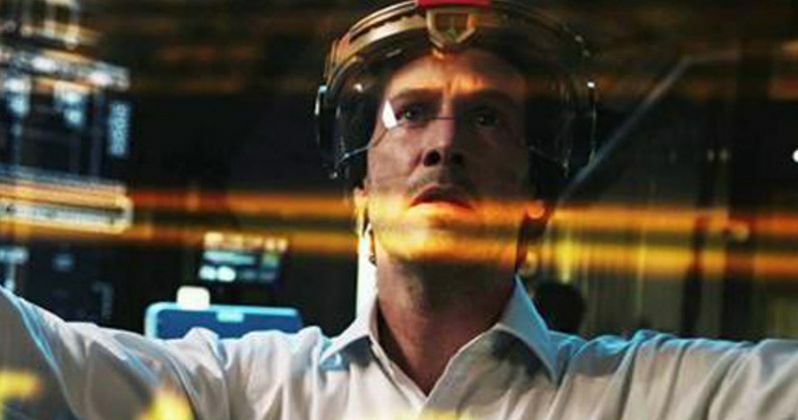 Reeves developed and produced the Replicas with his producing partner, Stephen Hamel, and Transformers franchise producer, Lorenzo di Bonaventura. The film is written by Chad St. John (London Has Fallen) from a story by Hamel, and directed by Jeffrey Nachmanoff (writer of The Day After Tomorrow). Replicas is the story of a scientist (Reeves) who loses his family in a horrific accident, but is determined save his wife and children by bringing them back to life with cutting-edge cloning technology." The Hollywood Reporter reveals that the panel presentation will take place on the first day of NYCC, Thursday, October 5, with the panel set to take place from 6:30 PM to 7:30 PM in room 1A06 at the Javits Center. We first reported on this sci-fi thriller Replicas back in October 2014, when Keanu Reeves signed on to the project for Lotus Entertainment, producer Lorenzo di Bonaventura and the director at the time, Tanya Wexler. The film is now directed by Jeffrey Nachmanoff (Traitor). Since the first footage from Replicas will debut at NYCC, it seems unlikely that we'll see anything from this sci-fi thriller between now and then, except possibly a new poster. Keanu Reeves is joined by a supporting cast that includes Thomas Middleditch, Alice Eve, John Ortiz, Emily Alyn Lind, Emjay Anthony, Nyasha Hatendi and Amber Rivera. Jeffrey Nachmanoff is making his second directorial effort with Replicas, following 2008's Traitor, although he has been keeping busy on the small screen, serving as a writer and producer for Hostages, Legends and Chicago Fire. Keanu Reeves is coming off his hit action sequel John Wick Chapter 2, which he promoted at New York Comic-Con last fall. He will next be seen in To the Bone, and he has a number of projects in various stages of development, such as John Wick Chapter 3, the long-awaited Bill and Ted 3, alongside Alex Winter, SPF-18, Desination Wedding, Rally Car and The Starling. While we wait for more on Replicas, take a look at the first photo below.